Natural art has our own studio with professional painters and Inkjet Printers. 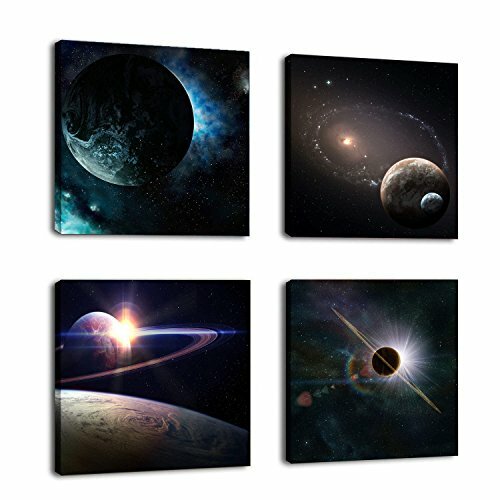 100% hand-painted canvas painting and high definition picture photo to print on high quality canvas with vivid color can bring you the look and feel of the original nature and masterpiece. The ocean view series of our canvas wall art can make your living space and mood more richness and dynamic. It is sure to be a perfect contemporary art for wall decorations in your living room, dining room and restaurant or a gift for your relatives and friends. Our products are packed in the carton box to protect the prints well and already perfectly stretched on wooden frame with hooks for easy hanging. And the products which are stored in Amazon warehouse can be shipped to your upon purchase directly which makes your online shopping more convenient and faster arrival to your hands. If you have any questions about this product by Natural art, contact us by completing and submitting the form below. If you are looking for a specif part number, please include it with your message. Elements of a Novel Mini Educational Poster Series Size 11 x 14 inches. Eco-Friendly, English Literature Art Prints.